Today is one of those day's where being a Mum is inconvenient, yes I know that's a controversial thing to say but I know some Mum's out there will totally get where I am coming from. Don't get me wrong I love my babies to the moon and back plus some, but they do have the tendency to hold me back on the things that sometimes I most want to do. Example. Today is Next's Press Day, I was all set for meeting some lovely blogging friends and have a day out in London but alas that was not meant to be. With children under the weather, school runs and basically no personal Nanny on tap means it's just become impossible for me this time. How about getting to the cinema? That's another example. I can not remember the last time the Husband and I got to the Cinema, perhaps it was our anniversary last year, I literally can't remember. Why is that?....Kids. Oh and not forgetting the unhelpful cinema that start screenings so late that getting a film in during the day before school pick up becomes another impossibility. They are missing a trick there as surely we can't be the only parents who have this problem! However this is not a all doom and gloom post as look at the flip side, this is making the most of inconvenience. Today is the first day in weeks where I've calmed the hell down and stayed home. 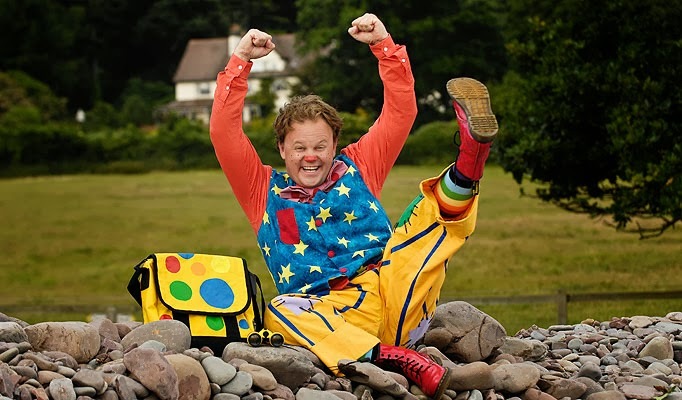 I get to watch re runs of Mr Tumble so I am actually gaining on a educational level of learning sign language, which has to be another plus point. But more importantly I get cuddles on tap with the my beautiful little man. One to one time that come next year when he's in full time school I will be wishing I had back in a heartbeat (I realise I'm sounding much like a grandparent now). It also means that I can catch up on the house and everything else that I put on the back burner. So yes children can hold us back but it makes the time we that we can escape for some sanity all the more special. I'll get to go (hopefully) to the next Next Press Day and I will enjoy it all the more. The husband and I will get a cinema trip in very soon and it will be all the more special because we had to wait so damn long. Let's face it life is too short to get hung up on the little things that can annoy us (or perhaps just me), I need to learn to not get so worked up on small things and make the most of the small things like cuddling up at Mr Tumble. So yes it's inconvenient to be a Mummy but I have to the luckiest put out Mummy there is. just to add.. have you read the whole post at all? Or even past blog posts because if you had you wouldn't felt the need to leave this comment as you would have read how very lucky I am to have three beautiful happy healthy and very loved children. Hi Hollie, I totally get where you are coming from, I have a two year old and 13 month old and I too cannot remember the last time the hubby and I got out for an evening. Our time will come hun and like you say we will miss it when our lil ones no longer want to cuddle us on the sofa!! Great post, totally agree with you. We all feel like this sometimes & anyone who says they don't is lying.